If you were holding out for an iPhone 5 launch in September, you might be disappointed. A report from All Things D's John Paczkowski claims earlier rumors that the iPhone 5 will be unveiled in mid-September are bogus, quoting instead "sources with knowledge of the situation" saying the next-generation iPhone will be an October surprise. In case you lost track of the abundant and conflicting iPhone 5 launch date rumors, China Times reported last week suppliers are currently preparing 400,000 trial run iPhone 5 units, set to launch sometime between September 6 and 15. Apple has not said when it would release the next-generation iPhone, and the company is keeping everyone guessing since June's WWDC conference, when new iPhones were traditionally unveiled. To add fuel to the fire, reports also indicated AT&T has blacked out employee vacations during the last two weeks of September, in preparation for the iPhone 5 debut. They're all wrong, though, claims Paczkowski's source, which says the iPhone 5 will actually arrive in October, though a hard launch date was not offered. Paczkowski has a good track record when it comes to Apple-related rumor reports. Apple itself could be behind the latest iPhone 5 launch rumors, writes SlashGear's Chris Davies, in order to correct some of the rampant speculation at this time and "establish more realistic expectations and avoid mass disappointment -- and a potential share price hit -- in September." There are few to no details on what specifications the iPhone 5 will feature. Previous speculation indicates that the new device will use the dual-core A5 processor found in the iPad 2, a higher-resolution rear camera and possibly a dual GSM/CDMA chip. 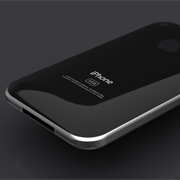 Besides speculation and rumors, we hardly know anything about the iPhone 5 or its launch date. If you were holding back for a September launch, a few extra weeks might be a disappointment, but if you really need a new phone right now, have a look at the latest Android offerings.